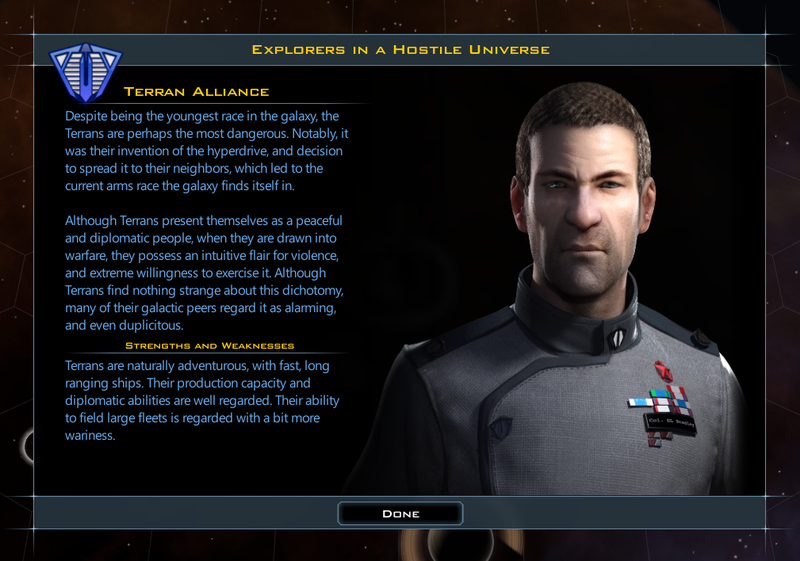 Intrigue is the third expansion for Stardock's massive-scale space strategy game, Galactic Civilizations III. This expansion changes the game in significant ways to extend playability and introduce new dynamics, adding politics, governments, civilization crises, the GNN, elections, and the Galactic Market to the game. We're also updating the base game to version 3.0 with the release of Intrigue; you'll see we've called out areas where changes are made in v3.0. This will walk you through the far-reaching changes to gameplay that Intrigue introduces - some subtle, some more obvious. Governments. Determines what your civilization can and can't do, as well as provides bonuses, special ships, etc. 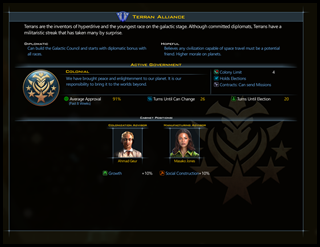 Galactic Elections. Puts limitations on democratically elected governments. Cabinets. Provides advisors who can give you additional bonuses and capabilities. The Galactic Market. Buy and sell resources on the open market. Crises. 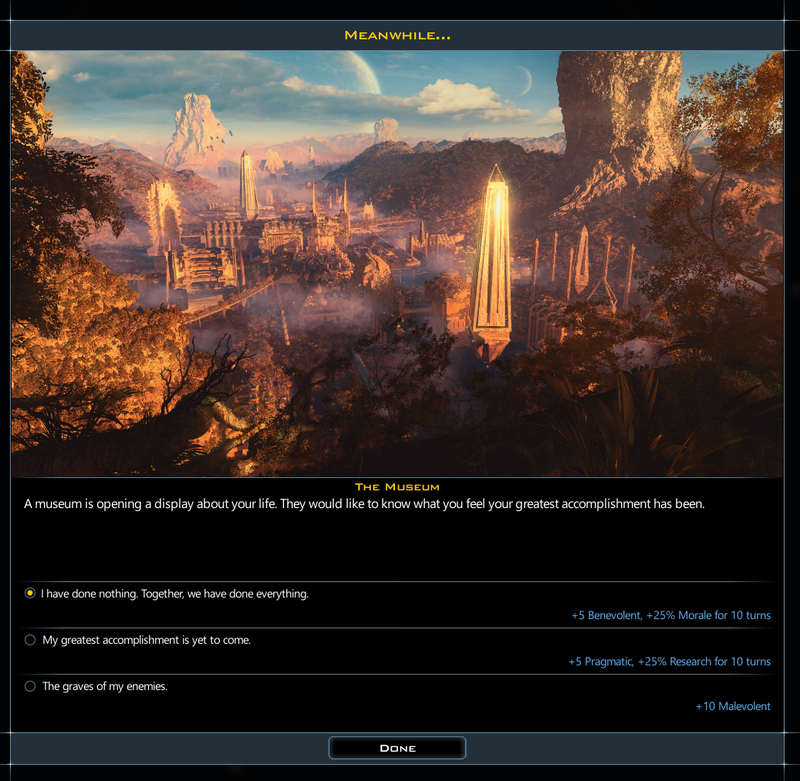 Civilization-wide quests that look at the state of the galaxy and your government, then force you to make some tough choices. The Galactic News Network. 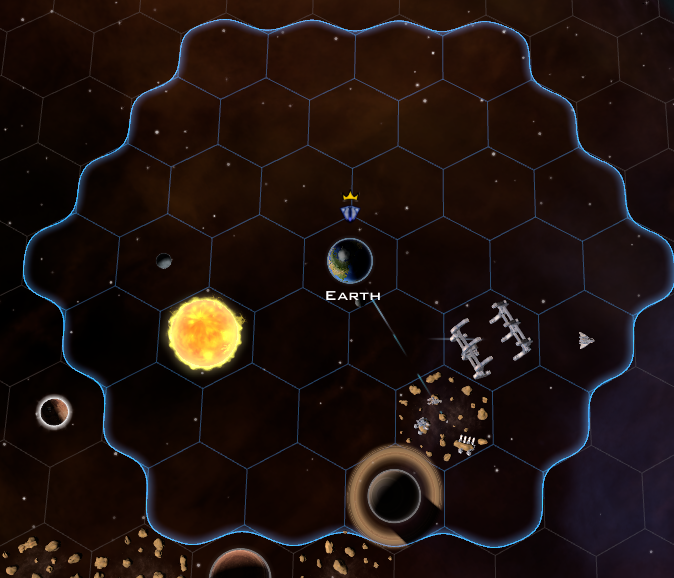 AI driven news to help players know where they stand in the universe. Commonwealths. Empire getting too big? Create baby civilizations that are allied with you, pay you money, and add to your influence without any of the headaches of directly running them. 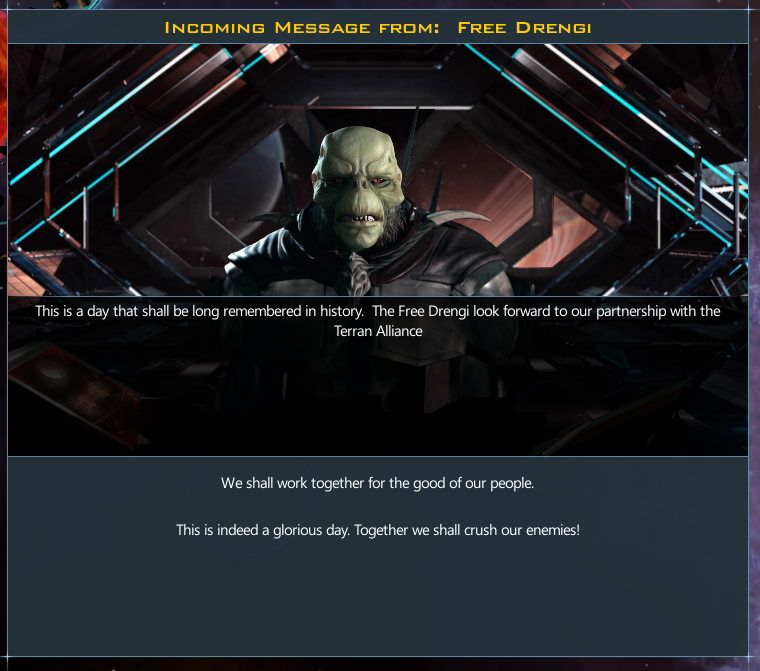 If you've played Galactic Civilizations III before, some of this may not be new to you, and you can skip down to "Your Ideology." 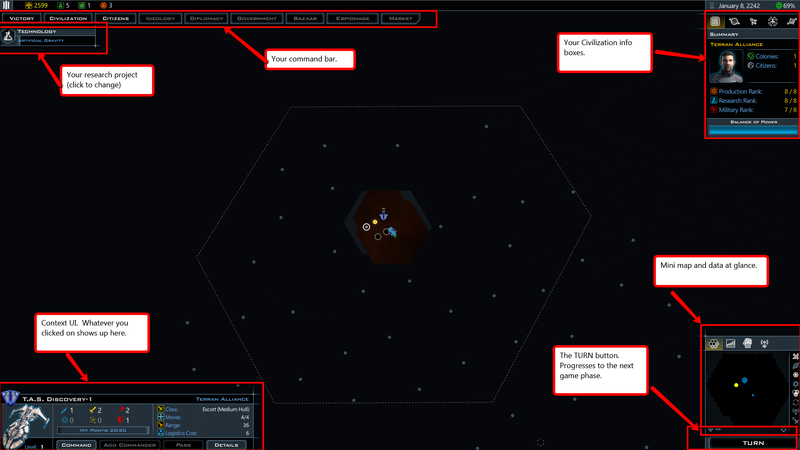 Galactic Civilizations is a big space sandbox. You set up a bunch of conditions and play. Destroy all the other civilizations (you're awesome!). Become the dominant cultural power (you're wonderfully awesome!). Get everyone to ally with you (you're sneakily awesome!). Research technologies to move beyond mortality (you're brilliantly awesome!). Control the various Ascension crystals across the galaxy long enough (Oh...you're a god now? We humbly admire you...). 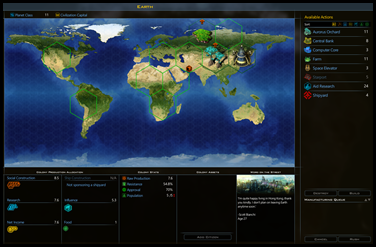 To accomplish any of the above, you'll need to build up your civilization, and from the very first game turn (measured in weeks), begin to set your strategies in motion. Earth...I just noticed that Cuba is gone. Planets are categorized by their type and their class. Most planets are of general type, which means you can land on them. 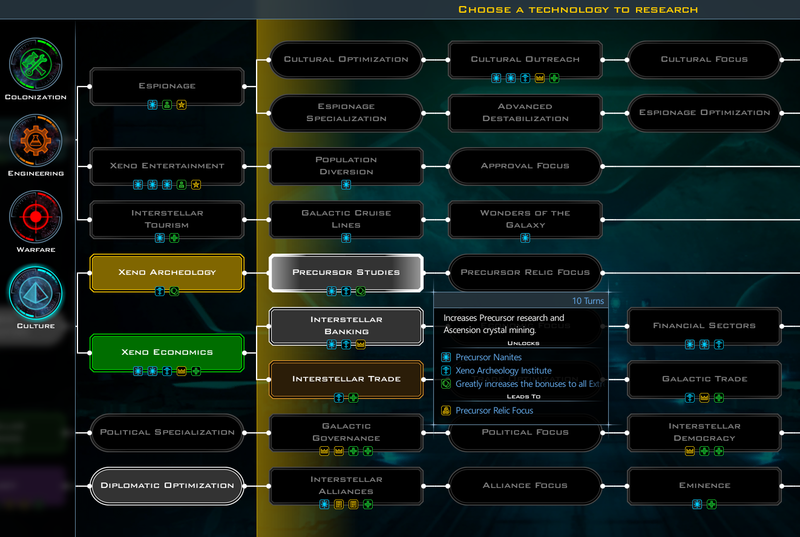 But there are many types that you have to research technologies for before you can colonize them. 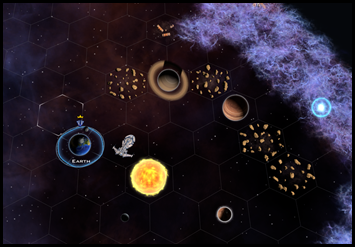 The planet class determines how many tiles there are on a planet for you to use. 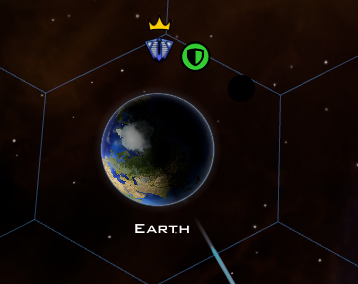 A class 11 planet like Earth has 11 tiles. 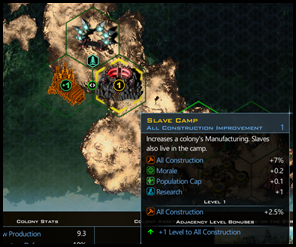 Social Construction = how fast your planets can build stuff on the surface. Ship Construction = how fast ships are built. 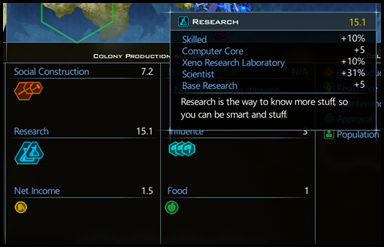 Research = how fast new techs are researched. Influence = how fast tiles near this planet will begin to become your color. Net income = how much money this planet is contributing to your economy. Food = how much food it's producing (which is consumed by cities). The root for almost all of these things comes from your raw production, which is equal to your population + any bonuses. This number is then affected by what you build on the planet or what abilities your species has. 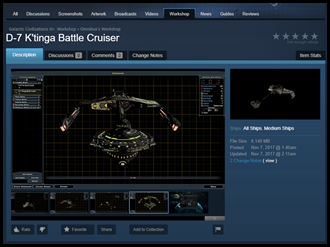 You might not be able to build ships immediately. 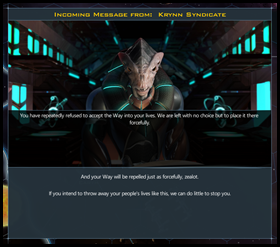 This is because you may not have a shipyard yet. 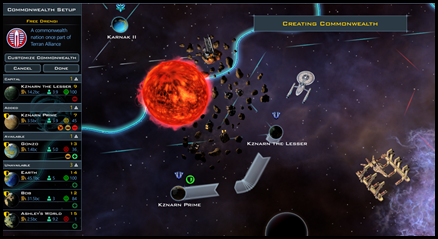 One of your choices on your first turn is whether to build a shipyard or not. Key tip: The game starts you out with lots of money. This is so that you can jump-start your strategy by rushing things. 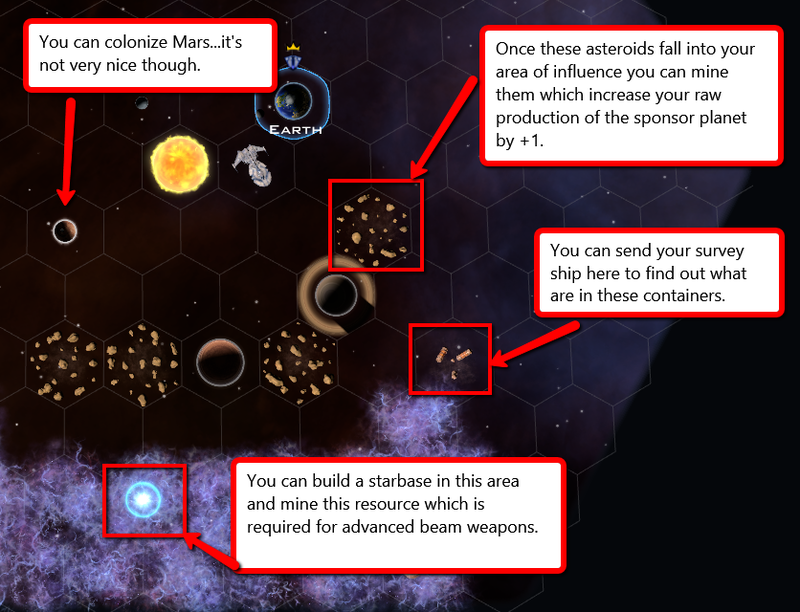 You definitely want to rush your first few ships and planet projects in order to begin executing your strategy. Mars right away? Didn't you see The Martian? You can zoom in and out with your mouse wheel (or + and - keys). Left-click to select, Right-click to target. 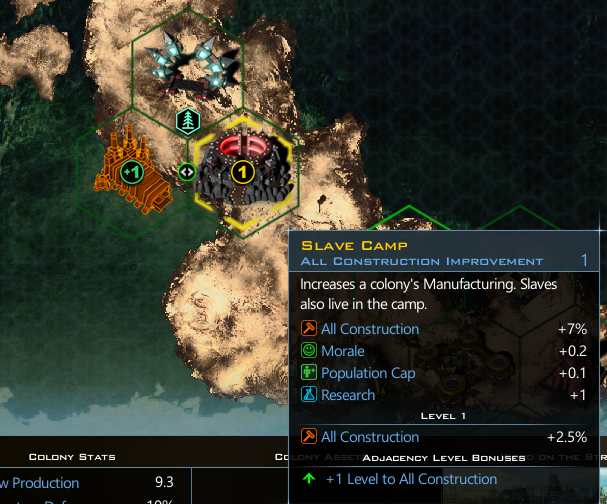 You will want to get a shipyard up and running soon (either turn 1 or turn 2). A colony ship. You need this to colonize other planets. A constructor. 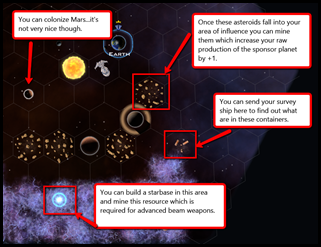 You need this to build starbases, which harvests or helps things in its area of control. A scout. You need this to explore new areas. An explorer. You need this to survey anomalies. 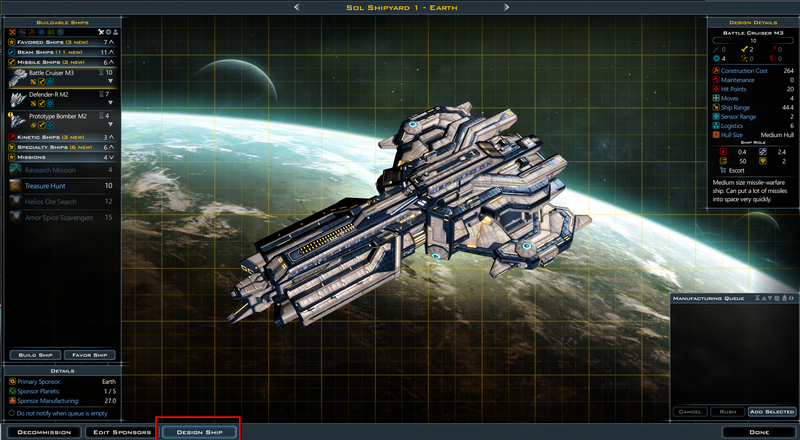 Expanding the missile ships option shows you that you can also build an offensive ship. Reminder: You don't get interest on hoarding money. So rush-buy early to jump start your civilization. 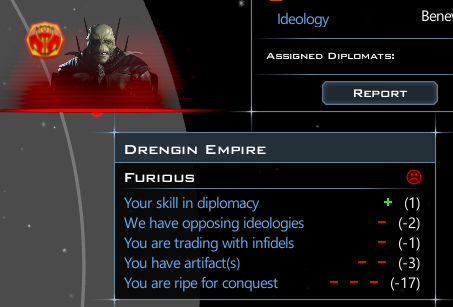 Intrigue adds a lot of new ideological events. Your ideology is determined by the choices you make throughout the game. The question is: what kind of civilization are you building here? 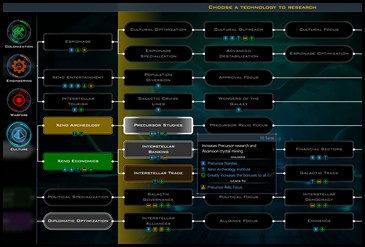 Your choices will unlock new abilities for your civilization and impact how your society evolves. Let's be nice...or...let's do a bunch of murdering. 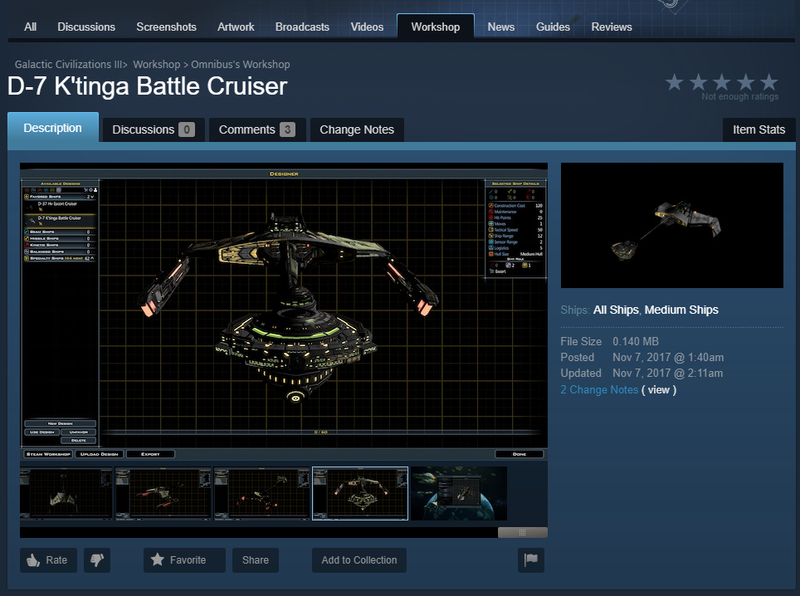 It won't take long until you can't build more colony ships or constructors. This is because you have run out of administrators. Administrators are earned through a variety of means, including through new technologies or by choosing an Administrator citizen when a new citizen becomes available. Until you have more administrators, you will have to choose other types of shipyard projects. Once you settle down to your first colony, you will begin building it up much the same way you did with your home planet. 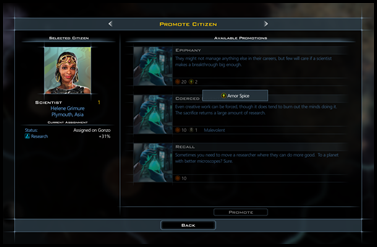 However, the planets you settle on may have unique features that will make you want to specialize them. So you want a revolution? Darn colonials! They want rights? 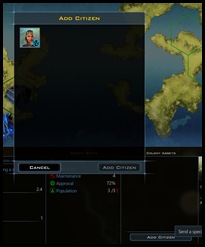 Once you settle a second planet, the people will want to know how you plan to deal with them. What governments are available to you is based on what type of species you are, what technologies you have, and what ideology you have. 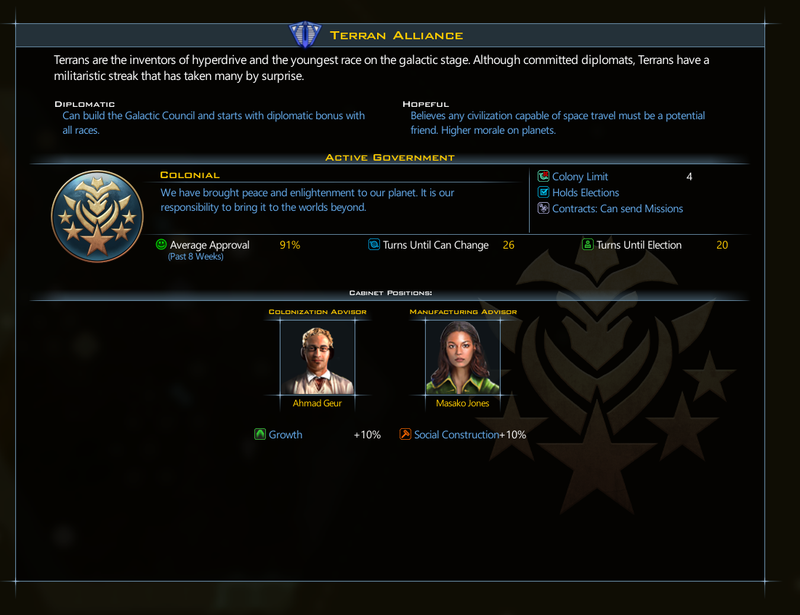 For the Terran Alliance, the most generic of generic species (well, hairless apes are pretty bizarre but still), you get Colonial and Imperial early. 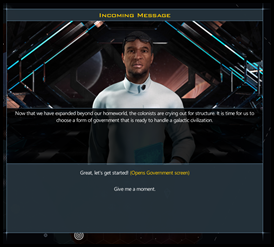 Colonial governments let you use your shipyards to send out missions to get goodies which is very useful, since then you don't have to care as much about administrators. On the other hand, they have elections. Imperial lets your ships move faster and that's about it. However, they don't have elections. The benefits to my civilization come from my cabinet. At the start of the game, your cabinet can't be changed. However, there are instances where a better cabinet member can become available, thus allowing you to switch it up. 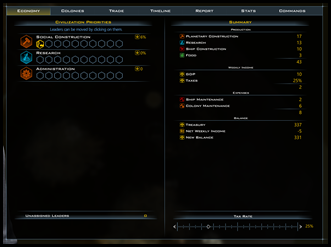 Version 3 of Galactic Civilizations III introduces the tax slider. This lets you begin collecting money from your civilization's economy. Remember all that spending I told you to do? By default, the tax rate is 25%. I want both all my projects funded, and a low tax rate...and a pony. Raising taxes will make people unhappy, which can reduce their productivity and cause you to lose elections (and if you lose an election it's really bad - you won't have a say in your government anymore. Do not lose the election!). Just keep an eye on your treasury. If your money count label is yellow in the upper left, it means you're losing money. Try to avoid running out or your government will shut down, and that reduces your ability to get things done...and it closes all the parks. Trade with other civilizations (my favorite). Have your survey ships collect and sell junk they find (my second favorite). 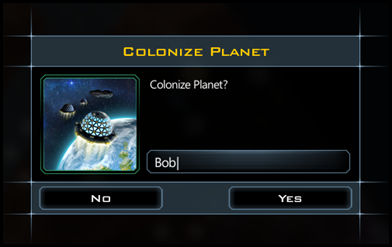 Send out missions from your shipyard (third favorite if I have a colonial government). Freighters (these are cool too I guess). About 5 times a game year, you are awarded a citizen. No matter how big your empire becomes, you get 5. No more. No less. The number is 5. 6 is too many. And you shall get 4 before the end of a game year, for a total of 5. Welcome to the family. 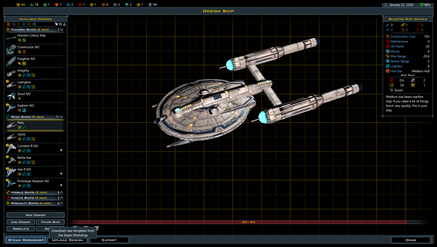 Here's your phaser. 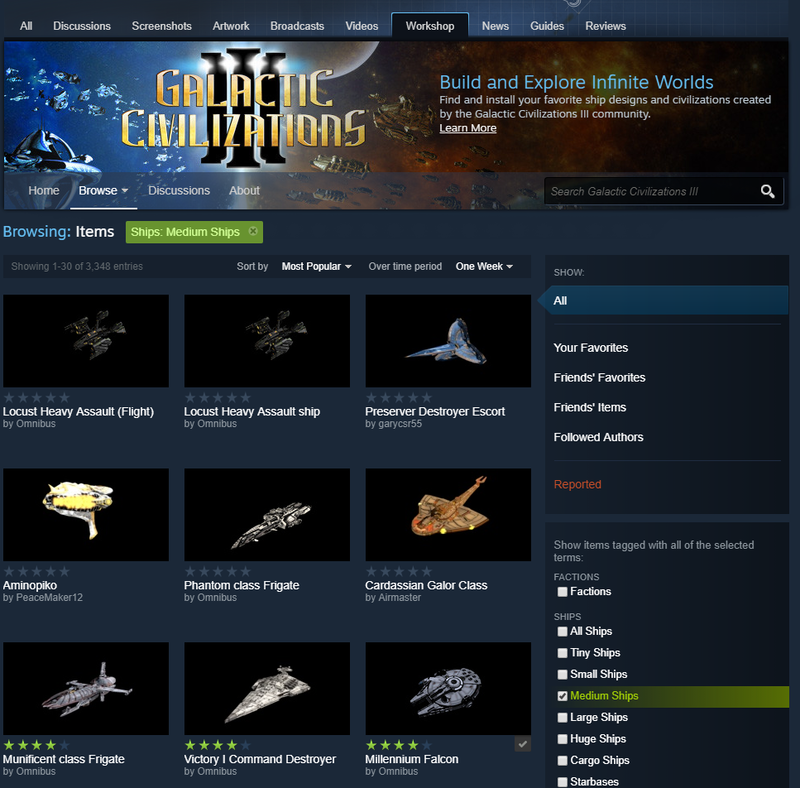 Administrators let you build more colony ships and constructors and what not. Workers build up your planets faster. I shall choose...Administrator. Sigh. To my accountant, I love you man! You can talk to the aliens. And make money with them. Early on, this is how I make my money. You can trade technologies with them, or pretty much anything else. 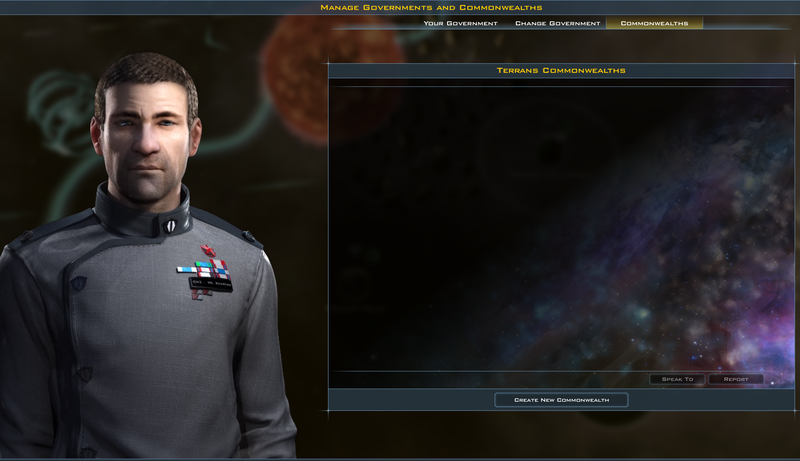 And after 3 years, it has been given so much AI love that they negotiate smarter than...well, me (that's not really saying much, as I am currently wearing a tarp -- stop judging me!). Not surprisingly, Tourism is a good source of income. Here is how tourism works: every tile that is your color can be cashed in on. If you have 10 tiles, you can convert a percentage of them into money. That's a lot of tiles. 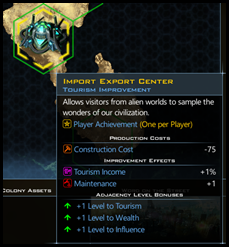 This tourism improvement will convert 1% of your tiles into a credit each turn. 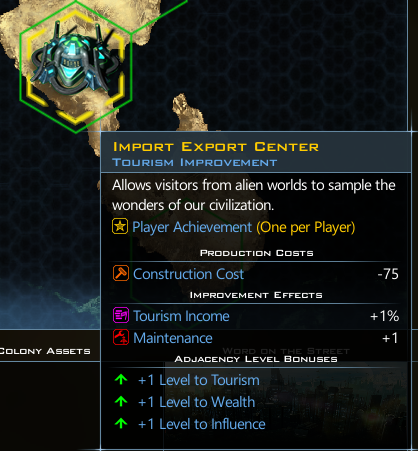 Thus, if I have 1000 tiles and I have a tourism improvement that converts 1% of them into money, then I get 1 credit per turn. You also get a bonus for every tile that is contiguous with your home world. In a space war, controlling the literal high ground is crucial. 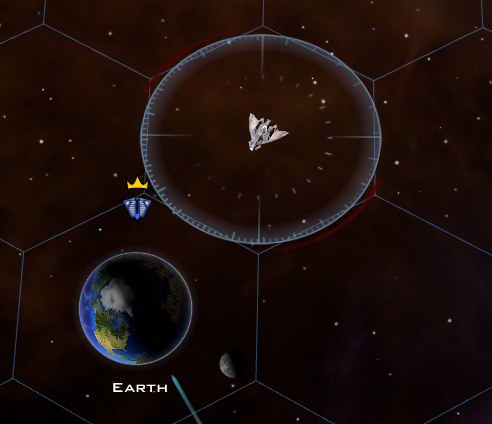 You must make sure your planets are defended or else they can be invaded. You do that by building spaceships with weapons on them. 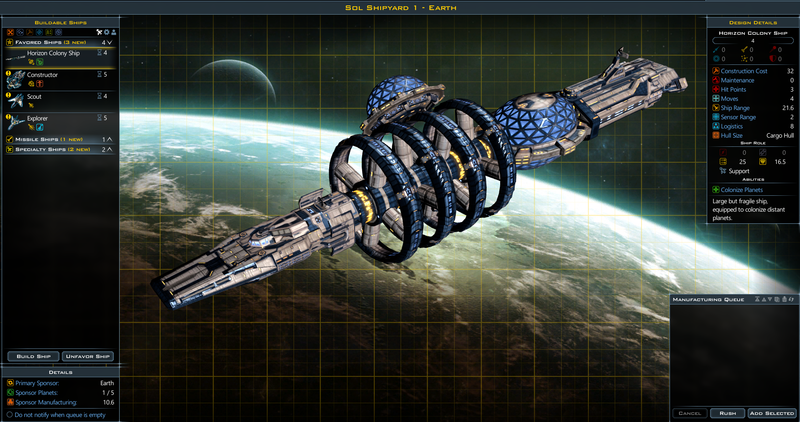 I have built a spaceship with nukes on them to defend Earth. Earth now has a green shield. That means it's working. If you build freighters, you can send them to foreign destinations and earn money. The number of trade routes you can support depends on your type of government, ideology, and what technologies you have. Build freighter, send to planet that doesn't want to kill you. 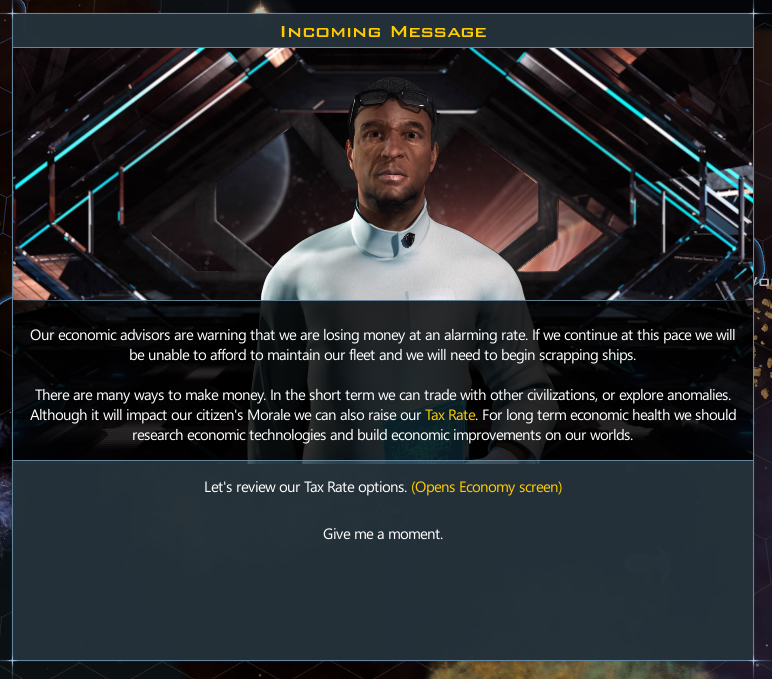 Now you can see income from trade. The value of a trade route grows over time. The older the route, the more valuable it becomes. 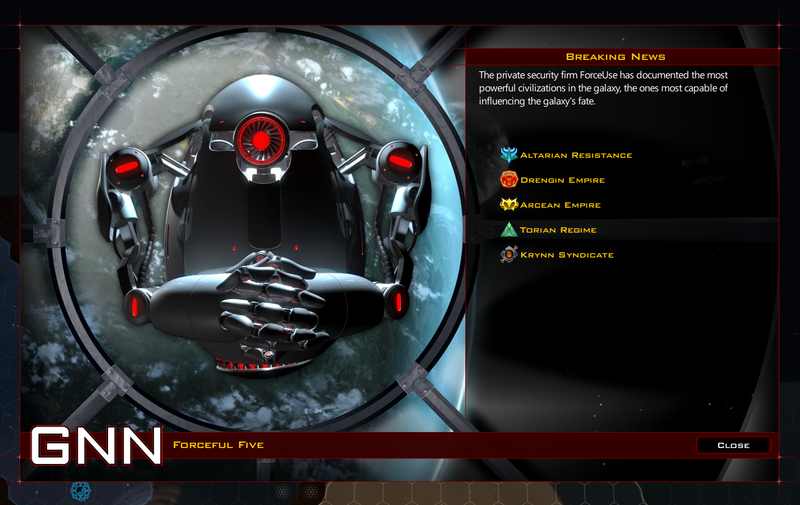 New in Intrigue is the Galactic News Network that is designed to provide players a general idea of how things are going across the universe. This allows you to be aware of the broader impact of your decisions in the game. The biggest empire isn't necessarily the most dominant one. 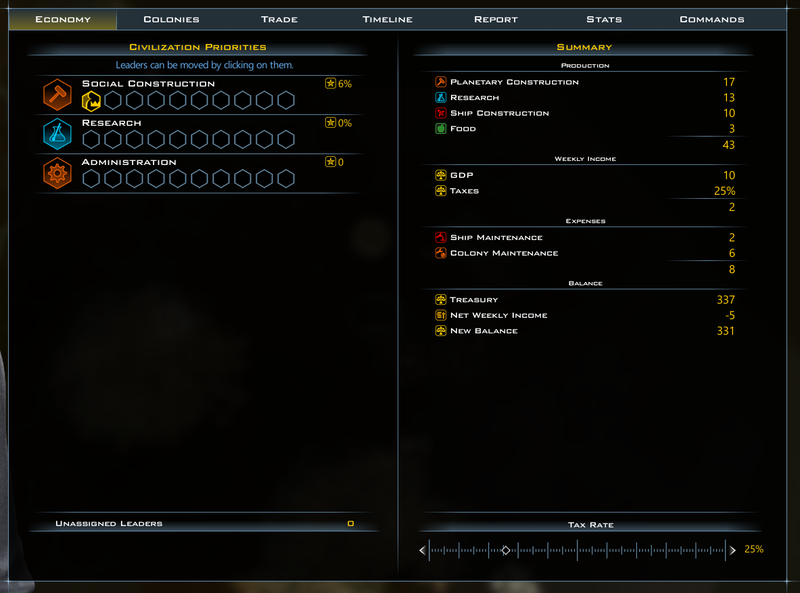 One of the things we have worked hard on with Galactic Civilizations III is that you can play "deep" and "wide" and have both be viable. 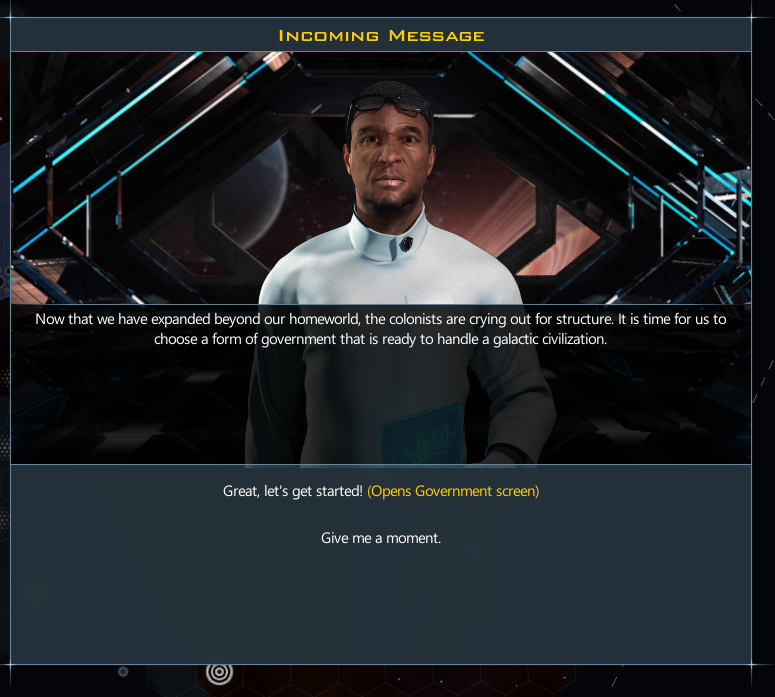 Remember earlier when we picked an administrator for your first citizen? 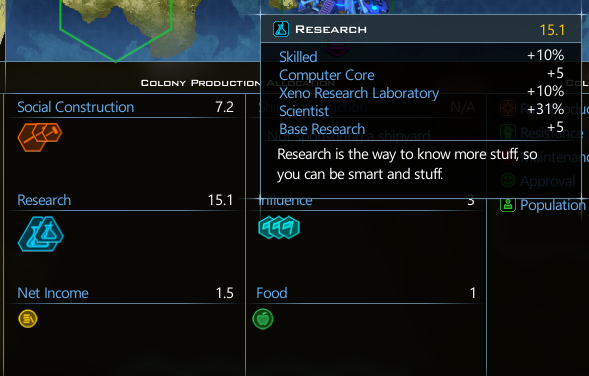 Well, for our second citizen we chose Scientist. 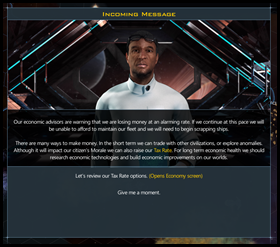 Now, you can have that scientist provide a small empire-wide bonus, or you can send them to a particular planet to do a lot of benefit there. Thus, a civilization with only a few planets can compete with a much larger empire. Go to a planet that you want to specialize. Click on Add citizen. Then send the citizen you want over. Be aware that your citizen doesn't teleport to the destination. If it's not your home world, they have to travel there and can be killed en route. Thus, the bigger your civilization is, the more dangerous it is to specialize. 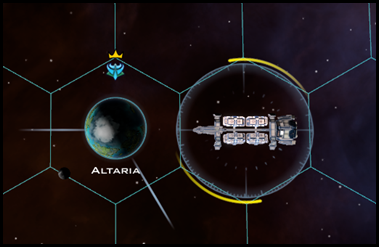 Small, tightly packed civilizations are much easier to specialize. Build a constructor and send it somewhere near where you see things you want to claim. 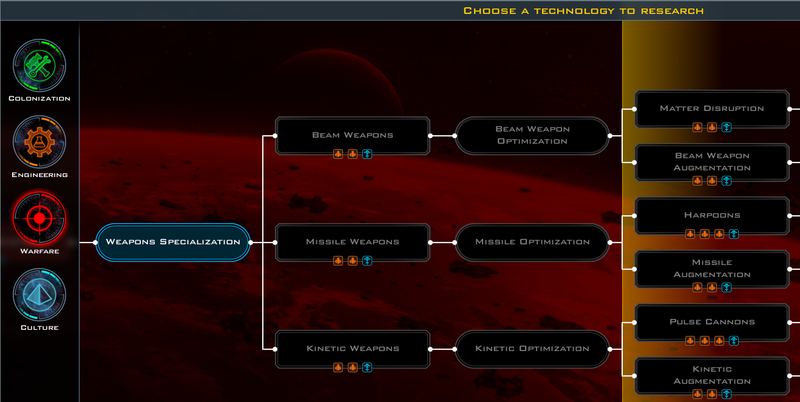 Then, choose "construct starbase". Twice a game year, if you have a democratic government there will be an election. 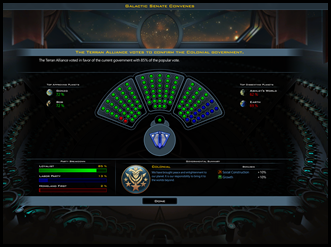 It uses the average approval rating for you with a bit of bias towards the most recent times to simulate an election (hey, we do make The Political Machine!). In this example, we won by a landslide. So should we just raise taxes so that we barely win? Well...it depends. Is the extra money worth a 5% loss to your productivity? At this stage, it's a tough call because that tax increase isn't enough to balance the budget anyway. We believe a lot of players will go with a 0% tax rate and try to make their money purely through other means. I'm not good enough to do that, but I am able to run at around 20%. 20% tax rate = 76% approval but losing 13bc per week. 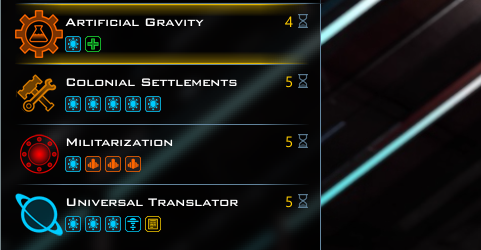 Some of the more advanced governments allow you to participate in the galactic market. When the Galactic Market is available, you can buy and sell resources. The price of these resources fluctuates depending on availability. 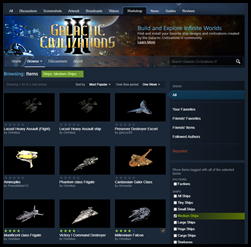 Early on, these resources are worth a lot, especially if you are one of the first to access the galactic market, as selling drives down the prices. The question is, how much do you want to sell? The buy price tends to be much higher because - do you see that guy in the screenshot above? Does he look nice? No. He does not. He's greedy. 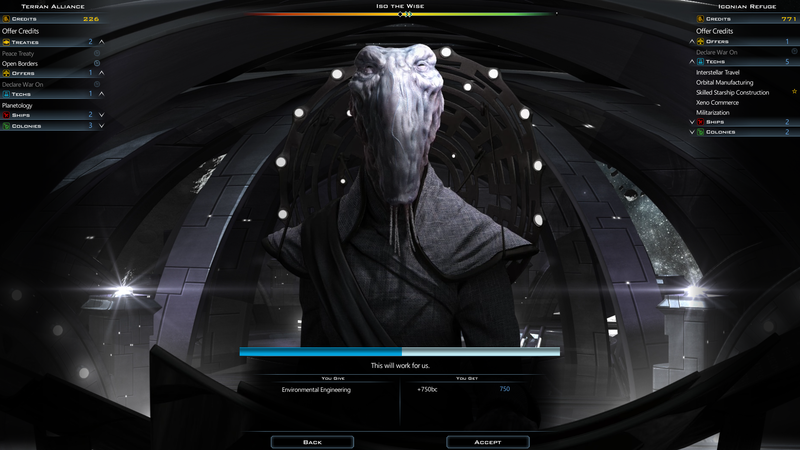 The Korx were a major civilization in Galactic Civilizations II. Notice the lack of a III in that last sentence? Yea. Their greed so annoyed the Drengin Empire that their civilization was wiped out. That's how greedy they were. They caused a fictitious alien civilization in a video game to wipe out nearly their entire species. 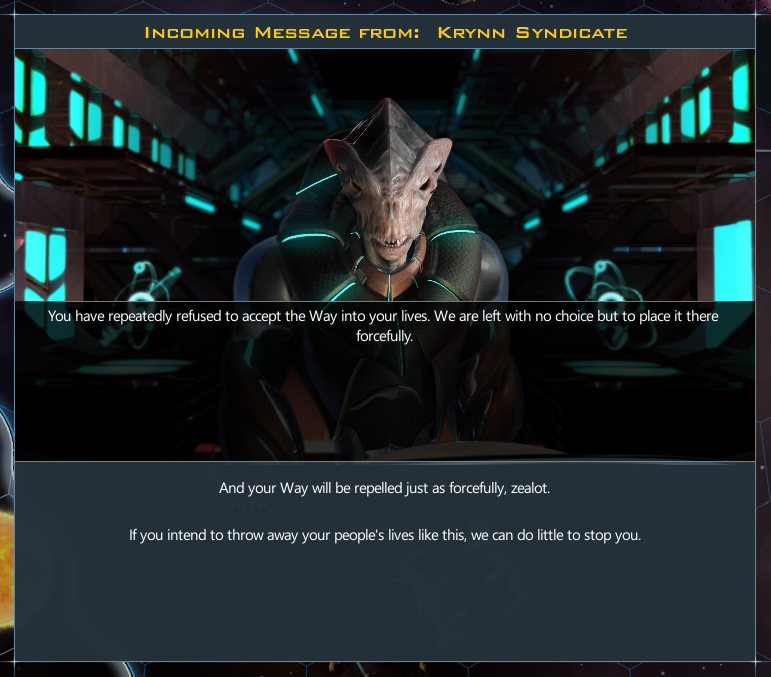 Anyway, the Korx that remain now run the galactic market, and they're not charitable. One of the most powerful features of your specialists is that they can be promoted. Remember Helene the scientist? You can promote her. From bitter...bitter experience, I can tell you that you will come to live in that market. Your children will be born in that market. They will be raised there. 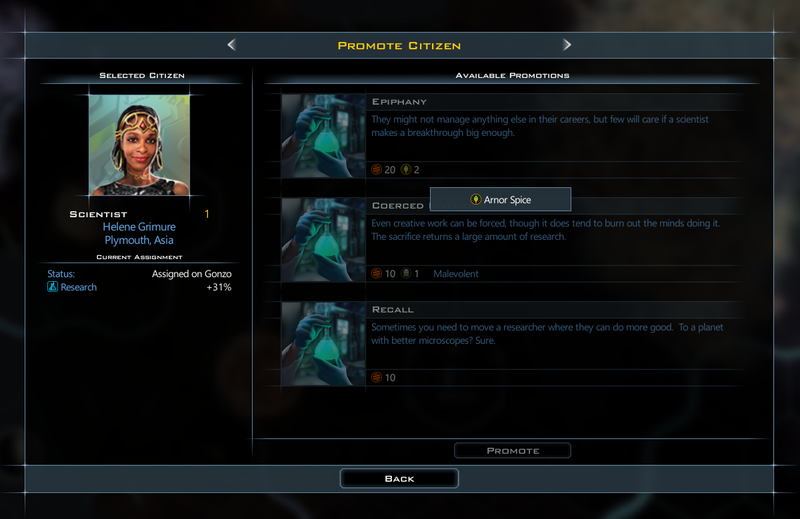 That's because when things start to get rough, and they will (depending on the difficulty you choose), you will need those super-powered promotions that require exotic resources and odds are you won't be able to trade for them with other civilizations. 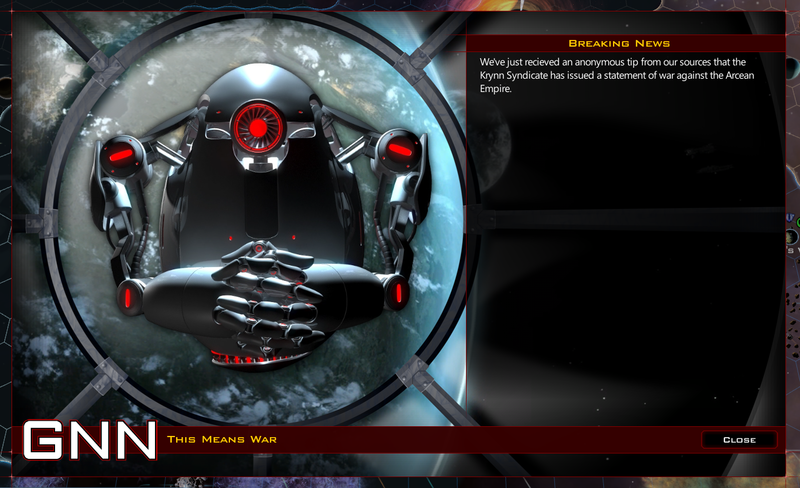 Trust me when I say this: when you're losing that war against the Krynn (and yea, it's always the Krynn - I have no idea why, and I wrote their AI), you will weep at having to sell everything you have to buy some bloody anti-matter so that you can get one more Battleship out there to save your home world. We've made it pretty far without getting into the topic of battles. 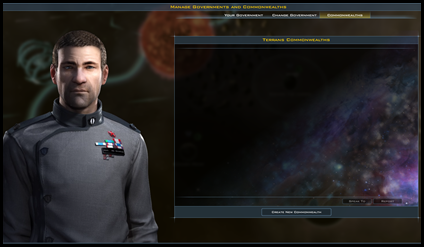 Galactic Civilizations isn't a war game. But war is a major element of it, because when you have a bunch of alien civilizations who want the same resources and territories, conflict is, sadly, inevitable. 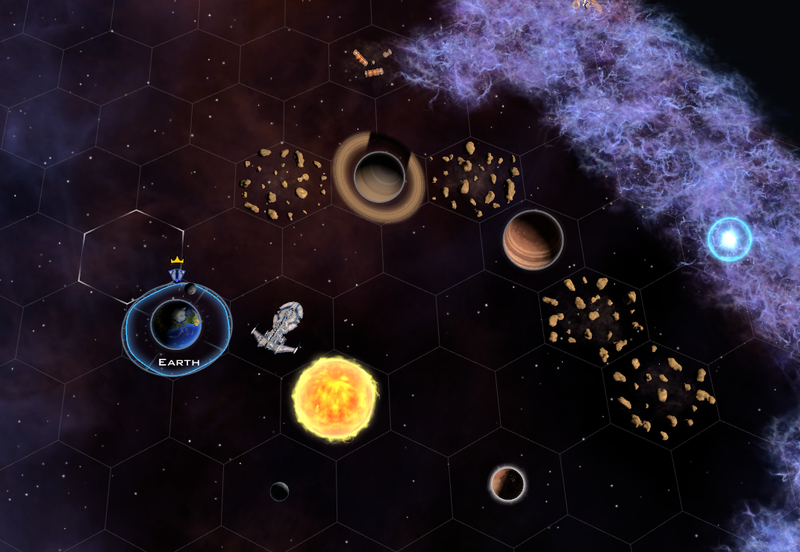 The hairless space apes of Sol III are actually quite good at war. 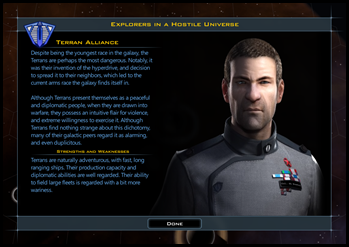 In fact, it is one of the major controversies in the background lore as the malevolent Drengin Empire consider the diplomatic face of the Terran Alliance to be a hypocritical façade. For all their talk of working together in peace and harmony, the humans are actually quite good at violence. The good news is that you usually have some time - like, a full on game year before you need to worry too much. 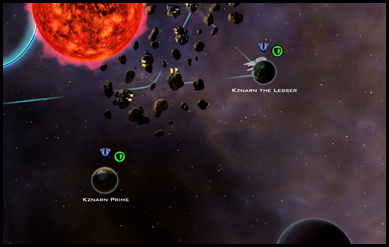 Most civilizations won't attack you until they've stopped being able to expand without resistance. That isn't true of all of them however. 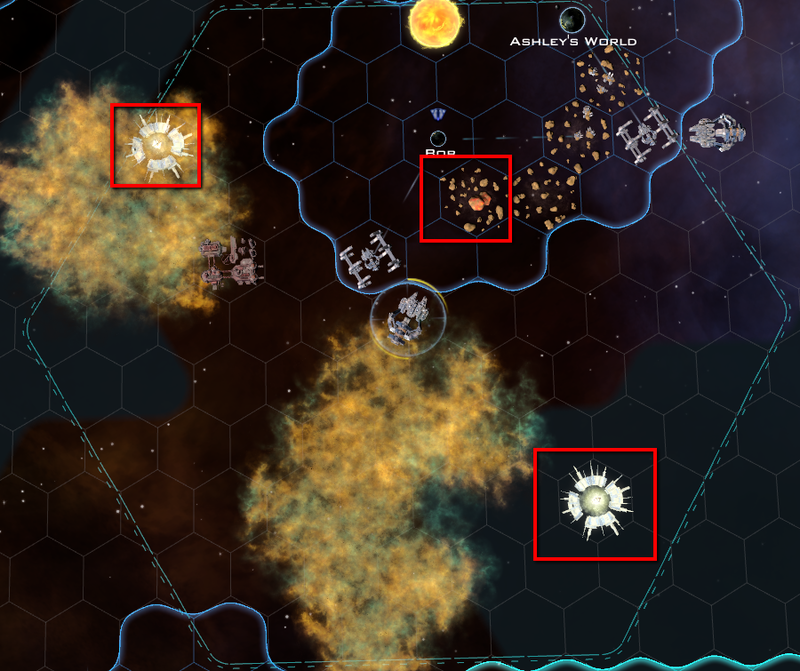 Some will shoot you on sight, so be aware that sending out colony ships into the unknown carries risk. 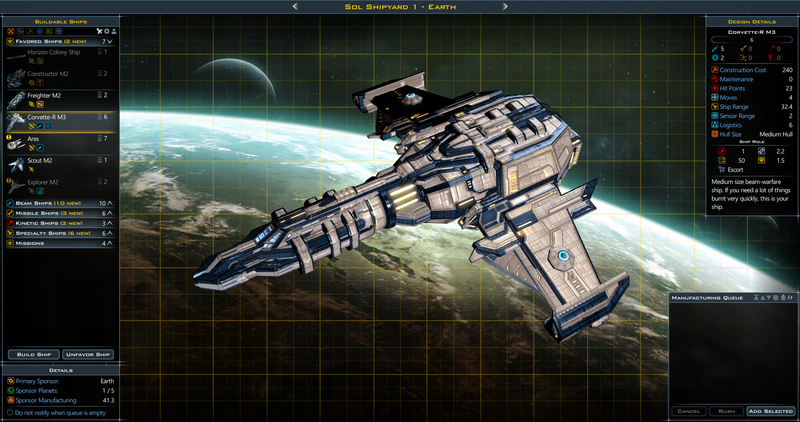 I mentioned earlier about putting a combat ship in orbit. That is, literally, the very least you can do. To get serious though, you need to start thinking about the galactic arms race. Beam weapons. The good ones require the resource Elerium to power. Missile weapons. The good ones require anti-matter. Mass weapons. These require Thulium. 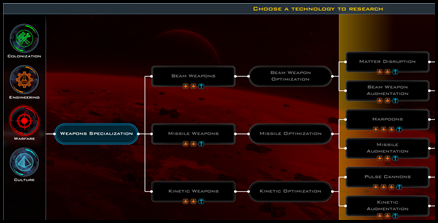 Your weapon choice will be heavily dependent on what resources you have access to. 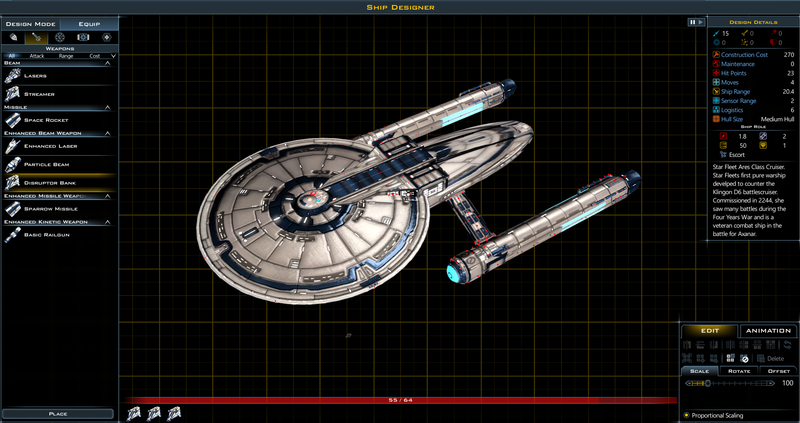 The humans being...well, the humans, start out with the 23rd century equivalent of nukes so they do start with some missile based ships. But they're token at best. 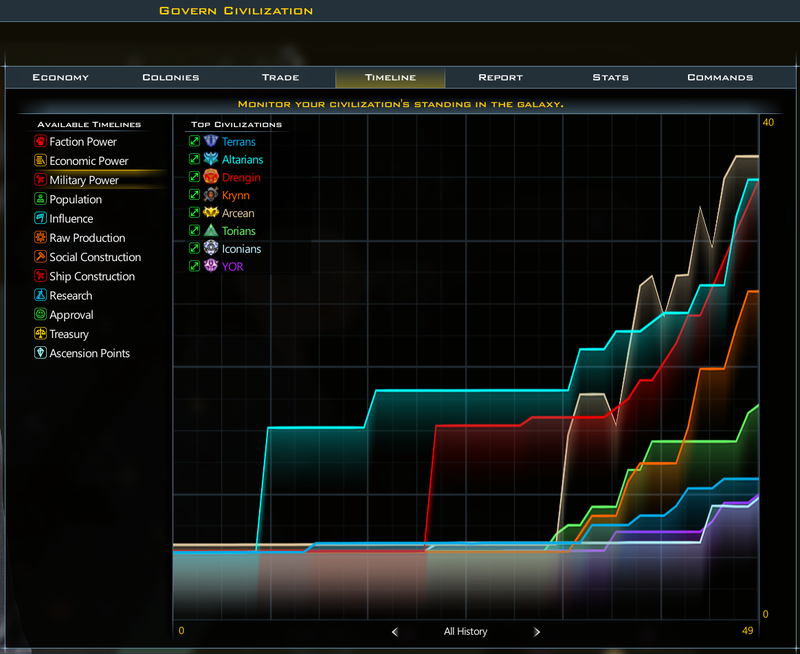 Here I have 2 Thulium, 0 anti-matter and 6 Elerium. So I am inclined to go with beam weapons. Most civilizations won't go to war with you simply because you are militarily weak. 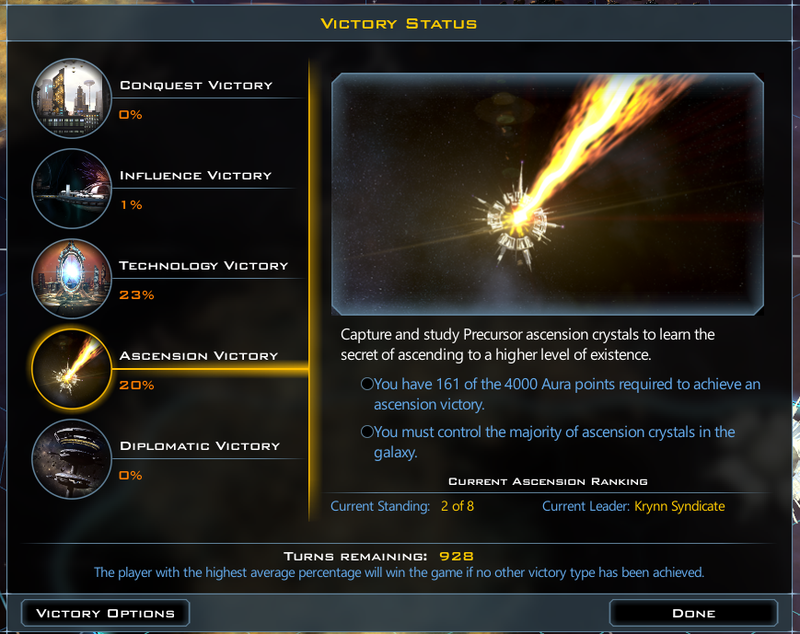 GalCiv isn't that type of game. But there are civilizations that will absolutely crush anyone they think they can. Just because they hate you doesn't mean they will declare war, however. They may have their hands full elsewhere or you may simply be too far away to bother with. The AI players don't really distinguish between a "human" player (we don't want to assume your species) and other AI. Many players can go through the entire game avoiding war. This takes a great deal of skill and is a very specific strategy. Generally speaking, if you have a very different ideology from another civilization and are remotely close to each other, sooner or later the tensions will become insurmountable. If you see someone gearing up their military, it's safe to say they are preparing for war. I can't do art. 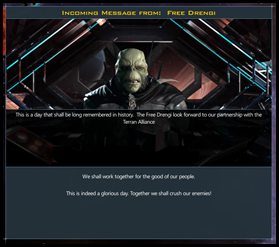 But GalCiv fans can, and they have made tributes to most every Sci-Fi universe out there. Every ship, robot, what have you you can think of has been made by a fan. The game does a pretty good job designing ships for you. But anyone who has ever enjoyed LEGOs can appreciate how fun it is to make their own space ships and battle them out. Plus, I really like playing with what the fans have made. Eventually, the war will come. And for me, it's always the Krynn. I've actually looked in the debugger to see why they go after me. Why this specific species? They just really hate me. 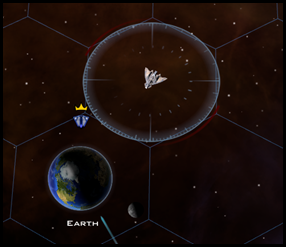 You've just conquered a bunch of planets, or someone has just ceded you some planets. Great? Well, technically yes, but it also tends to mean a lot of new micro-management of cities planets that you have no connection to. So what should you do? Have a governor run them? That's not ideal because you're still responsible for them and they are often far from your main territory. That's where commonwealths can be helpful. 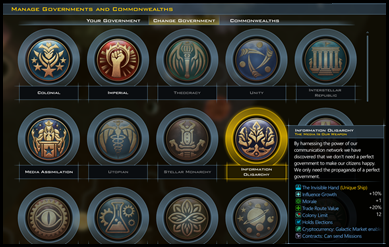 Commonwealths are civilizations that you create in-game. 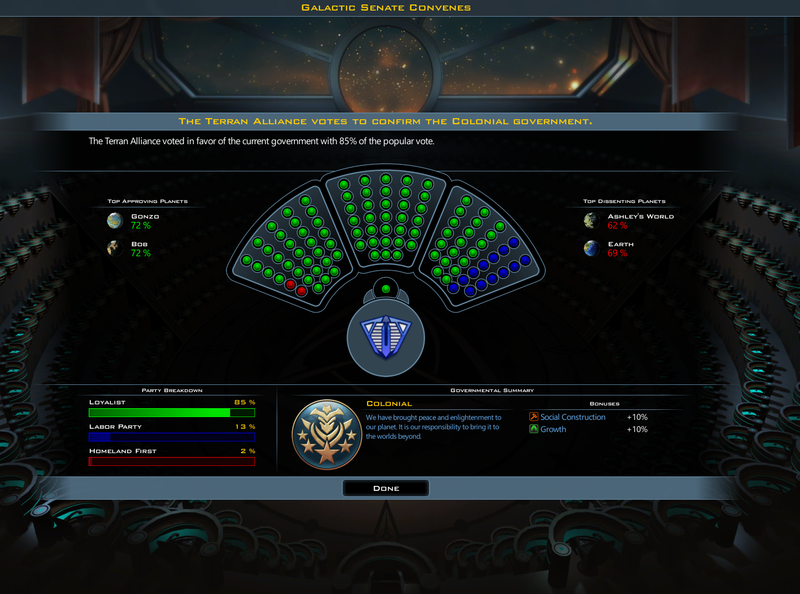 Since your form of government tends to have limits on how many planets you can have before people start to get upset, commonwealths not only solve a micro-management issue, but an approval one as well. 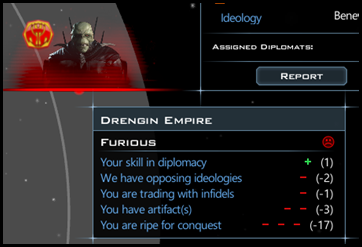 In my war with the Drengin Empire I captured two far-flung colonies that are far from my homeworld. I can appreciate the wonders of slavery as much as the next evil galactic tyrant but..the folks back home won't approve. I have no connection to these planets. I didn't found them. I didn't have a say in how they were built. 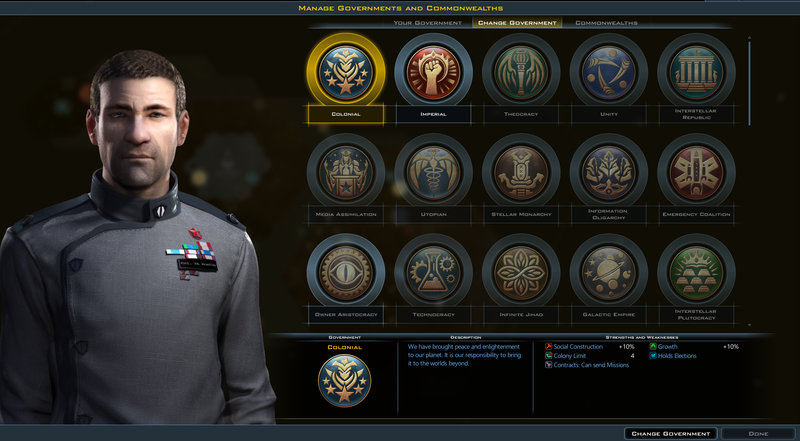 I can create a commonwealth from the Government screen. Just add the planets you want in it. 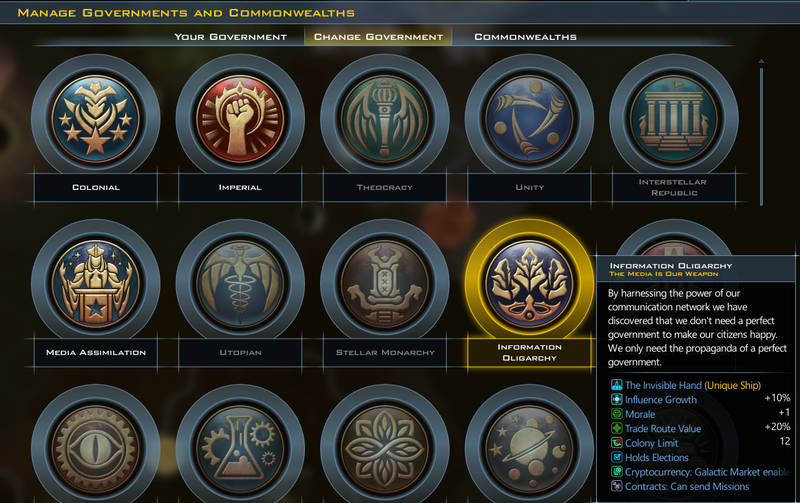 I can then customize the name and look of the commonwealth so I can distinguish it. You're a Drengin I can work with. Late game, this allows you to play a truly massive-scale campaign without getting bogged down. Your commonwealths are permanently allied with you, are a great source of income and play very intelligently. They also count towards your influence and tourism income. Always have a plan. The Victory button will keep you appraised on how you are doing. 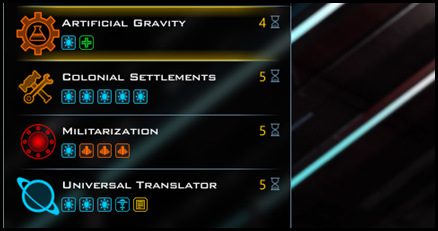 In the game I am playing, I didn't start out with a lot of good planets, but I did get access to a lot of Ascension crystals. tree to find out how they did it before us. 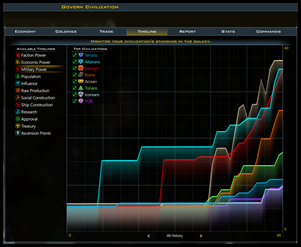 By going up the Precursor tree, I can increase how fast I can ascend. 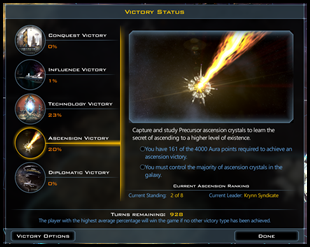 In this game, I ultimately won by ascending while keeping the various empires at bay with a reasonable defense and using my diplomatic skills to keep the various powers at each other's throats through secret diplomatic agreements. Thanks for going on this journey through Intrigue with us. 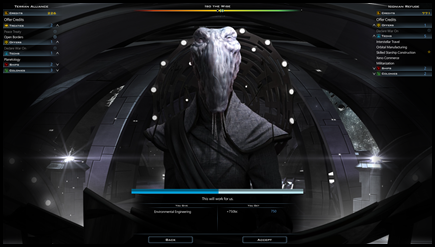 We're excited to see how players experience and enjoy the new features in Intrigue, and also to welcome new gamers into Galactic Civilizations with our new tutorial. 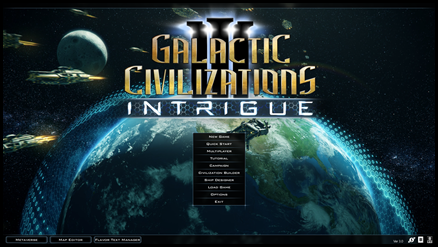 Galactic Civilizations III v3.0 and the Intrigue expansion will be available April 11 at: www.galciv3.com, Steam, and GOG. 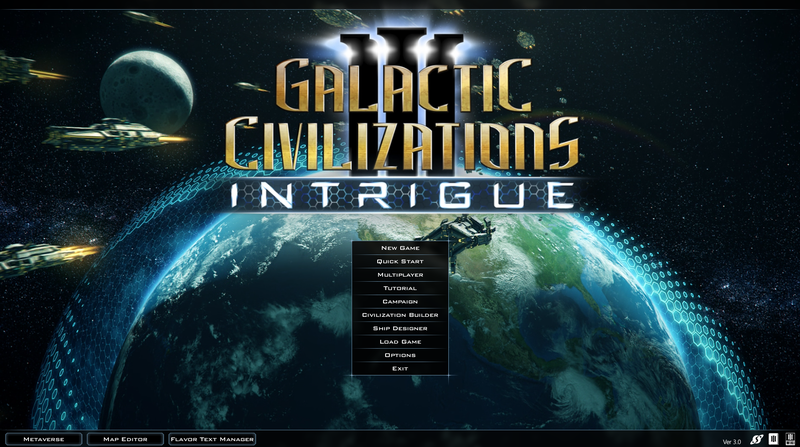 The Intrigue expansion is $19.99 (and requires the Galactic Civilizations III base game to play).